It has been months since I had a Fluffy Friday post here. My apologies to Smokey da Bear for letting him down so here I am, back and hopefully for good with a fresh Fluffy Friday post. I’ve been taking a lot of cat photos but I haven’t been posting them much. 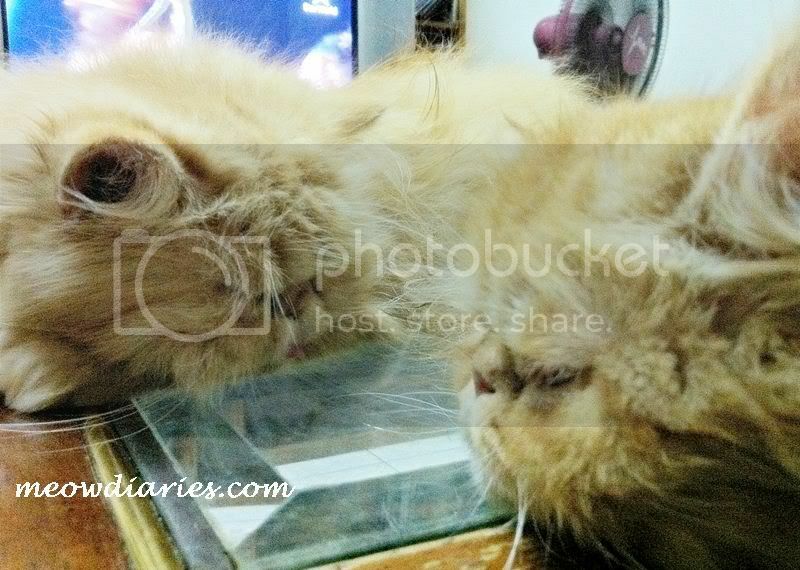 Here is a photo of two of my meows, Phoebe and Pablo, sleeping on my coffee table. Can you tell which one is Pablo and which one is Phoebe? How about this picture? I bet my friend Monica will have a tough time picking them apart. As it is, she already gets Benji and Chubbs mixed up! Have fun guessing; do have a great weekend and Happy Fluffy Friday! hahahahhaha.. and FF is here.. yeay.. yelah Smokey tunggu tunggu tu.. dia pun want to post his potrait.. lol!! eh cannot RT lah.. the button say error..
ok.. after Smokey looked very carefully, he think on Pheebs is the one on the left for both photos.. hehhe.. Is Smokey correct? 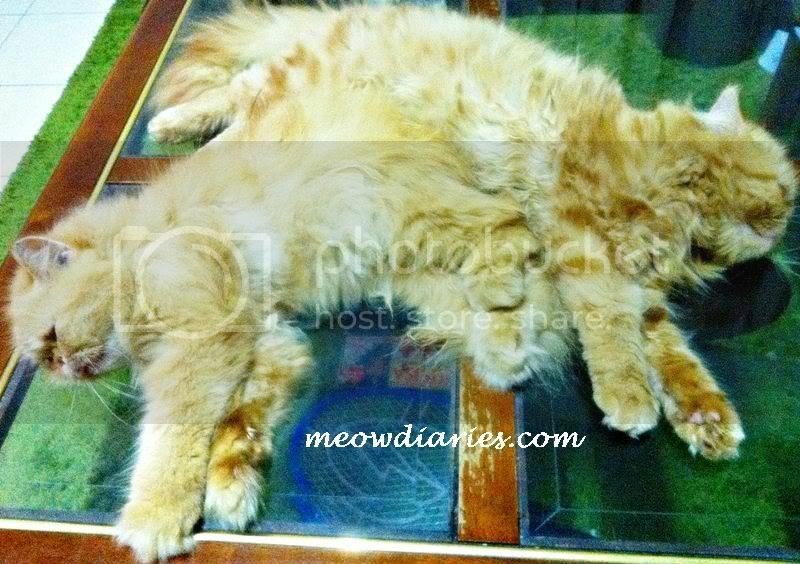 so cute lah Pablo and Pheebs... like one big bundle of fur.. lol!!! gerams!